Fairway woods is the type of club that you either love or hate because when it is hit on the sweet spot, the ball will be launched high and far. However, many 3W’s and 5W’s are hard to hit and many people opt for forgiving hybrid golf clubs instead. The best fairway woods are the Callaway Big Bertha Fusion Woods that are designed for maximum forgiveness and available as a 3, 5 or 7 wood. Modern fairway woods are helping out high handicappers with forgiving design features to ensure consistency. Such designs include thinner faces, larger sweet spots, more flex, light materials and strategic weights placed at the back of the club. Whether you are a high handicapper or a golfing machine, you should pay particular interest into the loft of a wood. High handicappers will opt for a higher loft degree in order to hit the ball easier whereas mid to low handicappers choose a lower loft. Materials that are used in the construction of the fairway wood have improved massively from the classic wooden clubs to steel, composite and carbon fiber fairway woods. Manufacturers have really put these clubs on a diet to increase ball speed. Fairway woods are a common golf club in every golfers bag that can improve your scorecard drastically with a good set. Below is a list of the best fairways woods for low, mid and high handicappers. 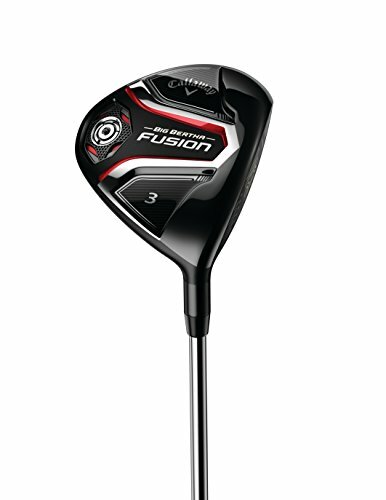 The Big Bertha Fusion is the ultimate fairway wood with a choice of 3, 5 and 7 wood configurations. The Fusion series by Callaway has been designed for maximum forgiveness and stability whilst maintaining distance and accuracy. A mixture of premium titanium EXO-CAGE and triaxial carbon crown and sole ensure shots are kept straight and launched far. 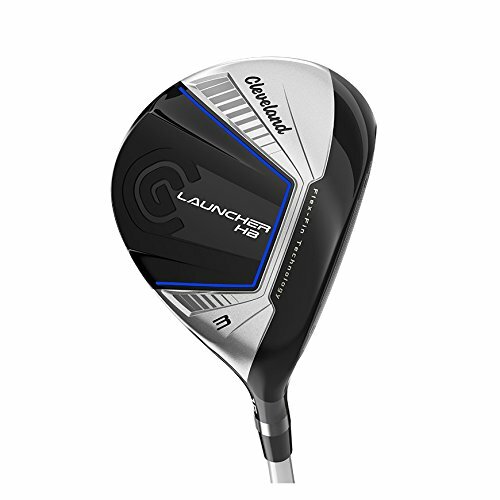 The head of the fairway wood is over-engineered and been developed with the help of aerospace expert to promote faster swing speed, which results in more distance. Due to the research and development, material cost and the Callaway brand, the Fusion woods are not the cheapest. However, if you are able to afford the complete set, they are the best fairway woods for high handicappers and will almost certainly improve your hitting consistency. The Big Bertha Fusion series of fairway woods by Callaway are targeted for forgiveness whereas the Rogue series is for mid to low handicappers. There is a range of fairway wood available including 3, 4, 5, 7, 9, 11 and a heaven wood. Jailbreak Technology is used by Callaway on their latest collection of clubs and it is simply two steel bars that stiffen the body. This results in a larger impact load for increased ball speed and distance. 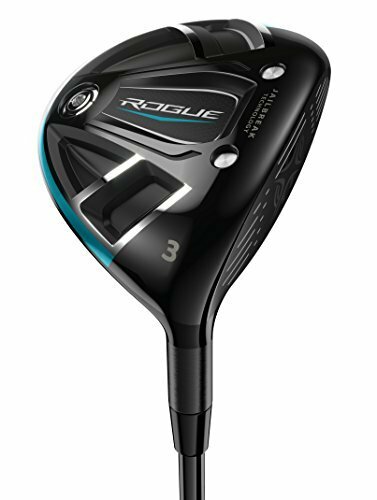 The Callaway Rogue is the best fairway woods for distance and the selection of lofts and clubs means there is a fairway wood for every golfer. Compared with the Fusion alternative, there are similarities but the mid to low handicapper will prefer the Rogue over the Fusion series. 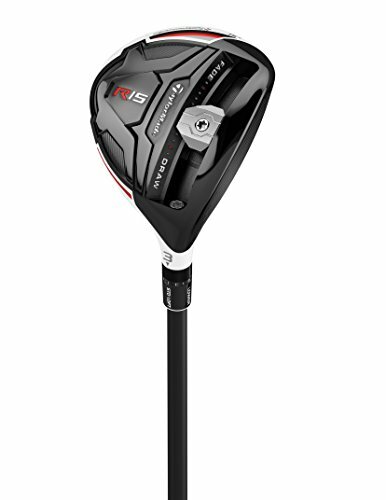 The TaylorMade R15 series is another premium set of fairway woods that are adjustable with a sliding 25g weight. The R15 performance fairway woods are only available as a 3W and 5W but this will not be an issue for the majority of golfers. The R15 is the most rated fairway wood that TaylorMade produce and features the latest technology such as the new “Front Track” system. Its main goal is to reduce spin and increase the size of the sweet spot for consistent hitting. Overall, the TaylorMade R15 series are the best fairway woods for mid to low handicappers with the adjustability aspect. Compared with the Callaway Big Bertha Fusion, it is similarly priced but lacks the forgiveness, which many golfers require for consistent straight launching. The Cleveland HB woods are designed for high handicappers and beginners wanting to hit high and straight. The patented Flex-Fin technology located on the sole of the club protects the balls speed when not hit on the sweet spot. To further help out high handicappers with launching golf balls, the crown compresses and decompresses during impact. This ultimately improves ball speed for more distance, which most golfers will be looking for from their fairway woods. It is available as a 3W and 5W (15 and 18 degrees) with choices of regular, senior and stiff flex so that there are enough options for every golfer. Overall, it is another top-rated fairway wood for high handicappers, although not as rated as the Callaway Fusion but still worthy of a mention for those looking at a cheaper alternative. 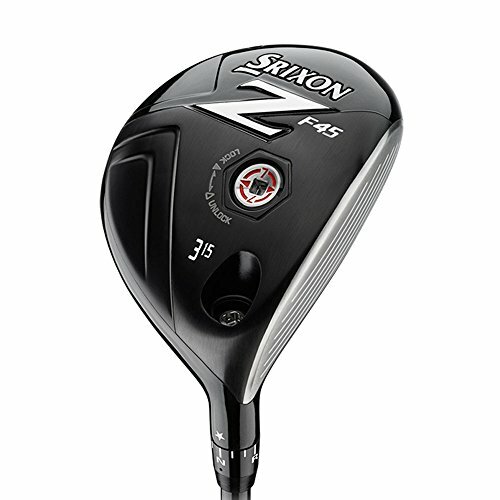 The Srixon Z-F45 is targeted towards those wanting a cheap fairway wood that is durable and performs well. The Z-F45 is adjustable with a “Quick Tune System” that allows you to adjust the loft, lie, face angle and center of gravity. It is not necessarily a new club and the latest Srixon Z series includes the F65, which is based on the foundations of this club. It is available with lofts of 13, 15 and 17 with regular, stiff and x-stiff flex and a graphite shaft. There really isn’t any other cheap alternatives that come close to the Srixon Z-F45 and is perfect for those looking for a cheap replacement. As the hybrid wood rises in popularity, it can become harder to pick which fairway wood to get as the line between a hybrid and a fairway wood is often blurred. There are countless head materials options, loft combinations, and shapes for you to choose from. These versatile clubs are ones that are necessary for your golf set. Fairway woods can be classified by their shallower club face and higher loft. The fairway woods can be used for an approach to the green, when you find yourself in the center of the fairway, after that perfect drive, and off the tee. They are also great for mishit shots that might have gone off the tee and landed in the rough. The extra little bit of loft is just the right amount to get your ball back in a good position on the green. Fairway woods are often the clubs numbered from five to eleven in your club set. The higher the number is, the higher the amount of loft you get. It also means that the higher the club number is, the less distance can be expected from it. If you’re a beginner golfer or just a high handicapper, it’s likely that you’ll choose the driver to get you off the tee. However, with the larger head and lower loft of a driver, it can be quite hard for most high handicappers to hit. Instead, you might find the fairway wood to be the better option for your needs. This buying guide will help you find a fairway wood that is ideal for your needs and get you to a higher level of play. Just as fairway woods have numbers associated with them, they also have different lofts. The loft determines the trajectory and distance that you’re likely to get from your fairway wood. Golfers can adjust their loft through the use of an adjustable hosel. As a general rule, the lower woods, such as the 3W and 4W, will have smaller loft angles, while the 5W and 7W have mid-ranged loft degrees. For beginners, the best ones will be 3W, 4W, and 5W. Below is a table stating the approximated loft degree with the fairway wood club number. 13 – 14 Strong ‘3’ Has a slightly lower loft than the 3-wood, but also has a lower trajectory. 23 – 24 Strong 7 Nicely complements the 4-woods, however, it should be ensured that the shaft is a bit longer than the 7-wood. 28 – 29 9-wood and higher These can be used instead of mid-irons. Great for the rough as the edges are smooth. 29 – 38 11-woods Lofts can vary a bit between different manufactured clubs. High lofted fairway woods are great for seniors and female golfers who might not achieve very high clubhead speeds. The shaft is one of the most important parts of any club, more so on fairway woods. They are designed to offer golfers with the highest amount of clubhead speed and subsequently gives more distance. Fairway wood clubs often feature the longest shaft in comparison to the rest of the clubs in your set. Generally, you’ll find them being made from graphite or steel. Experienced or seasoned golfers tend to choose the steel option, which is the more expensive one, but it does allow for a higher clubhead speed with a lightweight body. Graphite is often chosen by new players as it is more likely to provide consistent shots. If you want more control, it is recommended that you purchase fairway woods with shorter shafts. The flex refers to the flexibility of a club, which is key for fairway woods. In other words, the flex refers to the amount of bendability that can be handled by the shaft. Stronger players will generally be looking for a less flexible shaft to allow them more control over a strong swing. Average speed players will most likely need something that offers a bit more flexibility. The amount of flexibility that is offered in fairway woods can depend according to the manufacturer, but you should choose one that is flexible enough to provide you with the accuracy and distance that is needed to stay in control. As the clubface is more open, more and more manufacturers are starting to offer choices with fairway woods, like neutral, draw, and offset. Due to the openness of the clubface, players often find their hands behind the ball, when on a good swing they should be ahead of the ball. Manufacturers have attempted to compensate by placing more weight inside the club head to keep it square at impact. Though the majority of fairway woods are still made in the standard form, the options are great for those that need a little bit of adjusting. 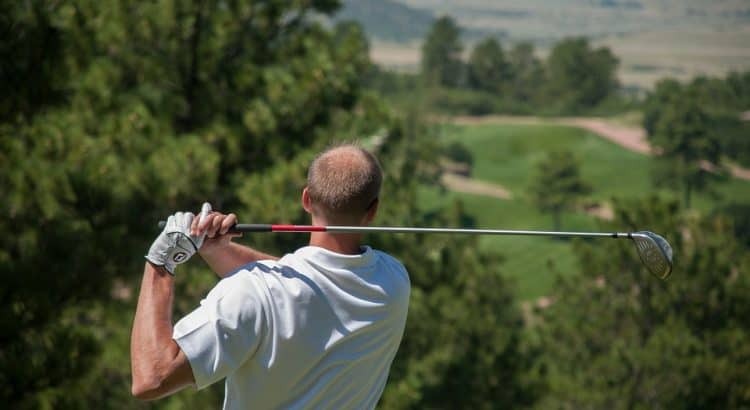 If you are consistently slicing the ball, then it might be recommended for you to visit a local pro to get help in fixing the swing rather than just getting an offset head. In terms of the materials that are used in the golf club head, you can expect to find three types of fairway woods. Though wood is in the name, it is not, in fact, one of the materials that fairway woods are made of anymore. The three are actually steel, titanium, and composite. Steel is probably the popular choice for the material of fairway wood heads. It is not too strong nor is it too expensive. The majority of fairway woods sold have clubheads made of steel. For big-headed drivers, titanium is great as its half in weight than that of steel. So, naturally, it is not also great for fairway woods. These are usually larger fairway woods, that is mostly just used to hit from the tee. With it being lightweight, the center of gravity is able to be pushed far back which aids in getting the ball airborne. The titanium is also great for providing the highest amount of distance. Fairway woods made from multi-material composites, use materials such as titanium or carbon with steel to create ultra-lightweight woods. With these being lightweight, the manufactures can place weight on the inner borders to reduce mishits. With the sheer number of brands and products in the market currently, it can be hard for high handicappers and beginners to choose which one to purchase that will help their game. There are a few vital points that you should consider in order to make a well-informed decision. Materials – the material can determine the durability and performance of the club that you choose. You will need to consider both, the material of the clubhead and the shaft as there are a few options available. Club Head Material – Traditionally, fairway woods club heads were in fact made of wood. Now, however, they are made of composite materials, titanium, and steel (more information on each can be seen above). Steel clubheads offer a more forgiving and robust club, which is also durable and inexpensive. Titanium club heads are lightweight and gain maximum distance through their further back center of gravity. Club heads made with composite materials make it the ideal choice to provide you with a better launch while minimizing twisting on mis-hit shots. Shaft Material – There are two materials for the shaft, which are steel and graphite. For beginners and high handicappers, graphite shaft will be the best option as they provide a more flexible and longer shaft. High handicappers will also find that they can cover more distance consistently. Loft – The lower the wood number, the smaller the loft angle, for example, 3-wood and 4-wood are likely to have loft angle that range from 13 to 18 degrees. The 3-wood, 4-wood, and 5-wood are the best option for high handicappers and beginners. Adjustability – By being able to change the loft angle, you are able to use one club as various clubs. It makes it more convenient and saves you money as you won’t have to buy numerous fairway woods. Moveable Weights – As popularly seen on drivers, there are some fairways that include this. The design allows you to modify the weight dispersion to increase the distance and speed of the ball. This is great for beginners, high handicappers, and even pro golfers. Price – Some fairway woods are pricier than others, which is the same for any other club. However, you need to find a good price vs. quality ratio so that you purchase a high performing fairway that stays within a reasonable cost range. Brands – There are countless brands in the market that produce fairway woods, however, there are some that stand out more than others. Some of the top brands are TaylorMade, Callaway, and Cobra. But, there are various others that are reputable who offer great products. Our list, along with other owner views should get you started in the right direction. Choosing between a hybrid and fairway wood can be a difficult choice, especially since they are both great options. Most golfers will usually have a driver, 1 – 2 hybrids, and 1 – 2 fairways in their club sets. However, both fairway and hybrids have their advantages and disadvantages. As hybrids combine elements of irons and woods, they do have quite a bit going for them, but are they able to overtake fairway woods completely? Fairways have a larger clubhead which means that they are more able to get the ball higher while creating more backspin. They are also more forgiving than a hybrid. Fairways are great off the tee and the fairways, while hybrids are better for the rough as they are smaller. In terms of distance, a 19 loft degree fairway is likely to travel further than the 19 loft degree hybrid, simply due to the head of the fairway garnering more speed through a longer shaft. Fairway woods are by no means an easy club to use, but nothing in golf is ever truly easy. You have to keep challenging yourself to get better any craft, with golf being no different. Fairway woods are great for various aspects of your game while also improving the chance of lowering your handicap. The fairway wood is designed to hit hard, therefore your ball will travel hundreds of yards. They deliver maximum force through their hard clubheads and long shafts. They also have the lowest loft angle in comparison to the other clubs in your set. You can use fairway woods either from the fairway or the tee. Beginners might be advised to choose the hybrids over the fairway wood due to them being easier to adapt to, but in most situations, the fairway wood will perform better, especially in situations where distance matters. Fairway woods are also very capable of hitting from the rough, thus giving them the advantage over other drivers. The most common woods you’ll find are the 3 wood and the 5 wood. If you on par 4 or above, fairway woods are great to use for hitting from the fairway or the rough. Depending on the target distance, you might even try a 3-wood or 5-wood on the tee instead of your driver. While hybrids may be gaining status in the market, fairway woods still hold a fair share. They are still necessary and relevant as they were when they were first designed. However, it is very important for you to do your research on each product before you make the final decision as not fairway woods are made equal. Aside from the technicalities, you should also keep in mind your preferences and budget while researching for your next club purchase. The best way to find one that suits your needs best is to actually try out a few for size.